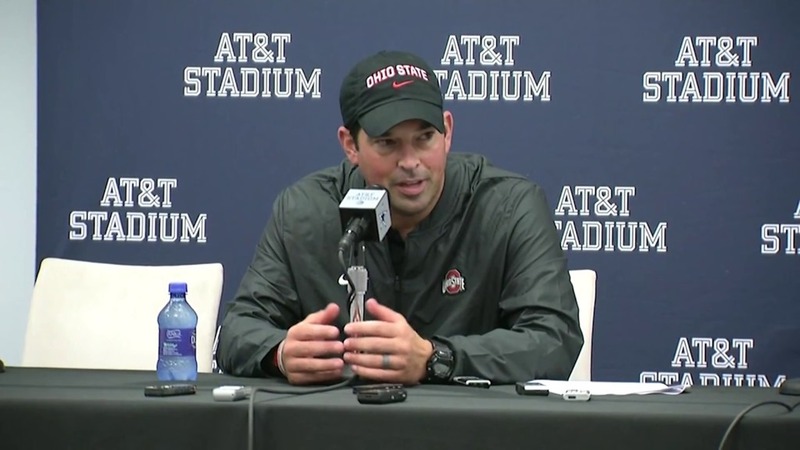 Ryan Day – Head coach. Kevin Wilson – sole Offensive Coordinator and Tight Ends. Mike Yurcich – newly hired Passing Game Coordinator and Quarterbacks. Tony Alford – Running Backs and Assistant Head Coach. Jeff Hafley – Secondary and Co-Defensive Coordinator. Last 2 years with the San Francisco 49ers. Greg Mattison – Co-Defensive Coordinator. With Michigan last season. Brian Hartline – Wide Receivers. Greg Studrawa – Offensive Line. Larry Johnson – Defensive Line and Assistant Associate Head Coach.